Spring has officially arrived in Pennsylvania and warm weather will be here before we know it. If you keep your home cool with central air or ductless air conditioning, now is the time to schedule your annual tune-up! 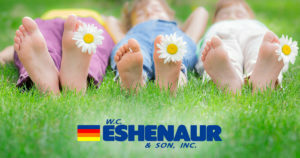 Routine maintenance from an HVAC professional is the best way to ensure uninterrupted comfort all summer long. What Are the Benefits of an Air Conditioning Tune-Up? When the first heat wave hits, you want to know that your air conditioner is up to the challenge. During your tune-up, your service technician will perform adjustments that will help your equipment run as efficiently as possible. Greater operating efficiency means lower energy costs. When your air conditioning system is running at peak performance, you will reduce energy use and save money. A tune-up from a trained cooling specialist can help avoid a surprise breakdown during the hottest days of summer. Your technician will check all necessary operating features, and if a part requires replacement you can have it taken care of before temperatures start to climb. Not to mention, this will protect your wallet from expensive service calls! Want even more protection? Sign up for a Cooling Maintenance Plan that includes preventative maintenance and parts coverage, just in case. Preventative maintenance improves your equipment and the air you breathe. Schedule a tune-up during the spring to reduce the amount of common household allergens and pollutants in the air. Summer in the Northeast can really bring the heat. A/C systems that receive an annual tune-up are able to provide even, reliable cooling when you need it most. When should I schedule my tune-up?